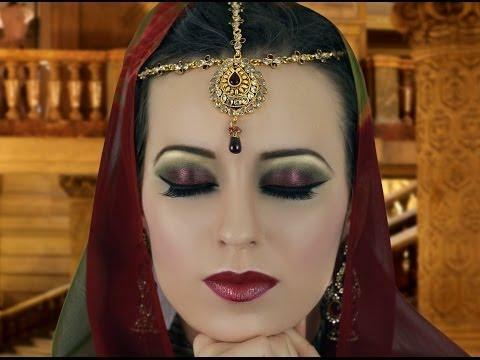 Teej-inspired makeup ideas that can make heads turn! After the grueling long Indian summers, the monsoons bring relief. This is a time when we look forward to celebrating the Teej, an Indian festival that is resplendent of vibrancy and chicness. Would we want to just stay plain and mundane? We guess not, and this is why while we jolly well sing songs, play on the rides and relish delicacies such as ghewar, our makeup should be merry like! 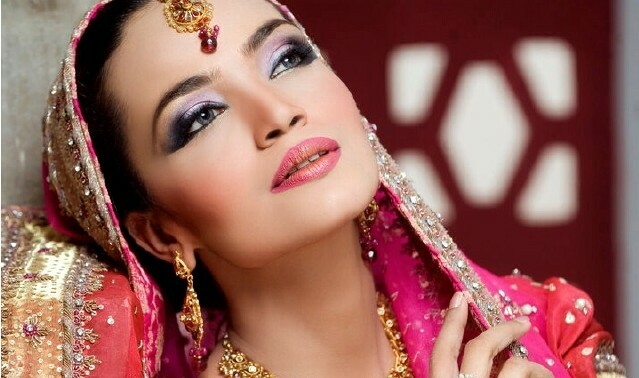 To make it stunning and not OTT, here are five interesting ways to doll up with makeup whilst celebrating Teej. Check them out. While Indian skin tones in their sultry smoothness can carry around the warm and cool shades galore, we would love it if Indian women played a little more with dusty shimmery blues. This time, instead of the warm pinks, reds and neutral browns, why not have a touch of teals and blues- dark to moderate on the eyelids, with white liner for the lash lines and a smudge of dark mascara to enhance the look? Sounds interesting, doesn’t it? Go ahead and try the same! For daytime celebrations, a hint of warm touches to the eyelids without being too OTT for the eyes would work best. Dark winged liners and sunburnt reds or browns on the eyelids, with peach highlighted brow bones can gel well with any ethnic ensemble you plan to wear. If you do happen to doll up for the evening party, spruce up the sunburnt eyelids with a hint of gold dust (not more than a dab of the pinky finger on the crease). For women with fair to medium toned complexion, a play of peach with sultry smudged kohl eyes would work wonders. The look comes through as sensual and elegant at the same time, playful too. Play with darkened lashes using black mascara and three strokes for each lash line with dark kohl. With an angular brush, smudge the kohl onto the eyelids and take it all the way to the crease line. Complete the look with a dab of peach from the inner corner of the eyes to the mid section of the crease, and let it stay. Says who you cannot wear a little gray or maybe more when festivals happen in India? Be the outstanding one to break all norms and play with grayish chrome metallic tones for the lids to doll up with. Lighter tones of gray in metallic touches should grace the inner corner of the eyes to the mid section, whilst darker tones of gray should blend in from the mid section to the outer corner of the eyes. Enhance the look with heavy mascara for the lashes and dark winged liners on both lids. To make a little more than the usual head turning moments happen at the evening Teej celebrations, the maroon and green smokey eye makeup do is what we would recommend to try. While the brow bone area is highlighted in peach or ivory to broaden the eyes, the mid section of the crease is what should be dolled in matte greens – light from the inner corner to the middle and dark from the middle to the outer corner of the eyes. Below that, a play of metallic maroons can take over, and blended into the greens a little. 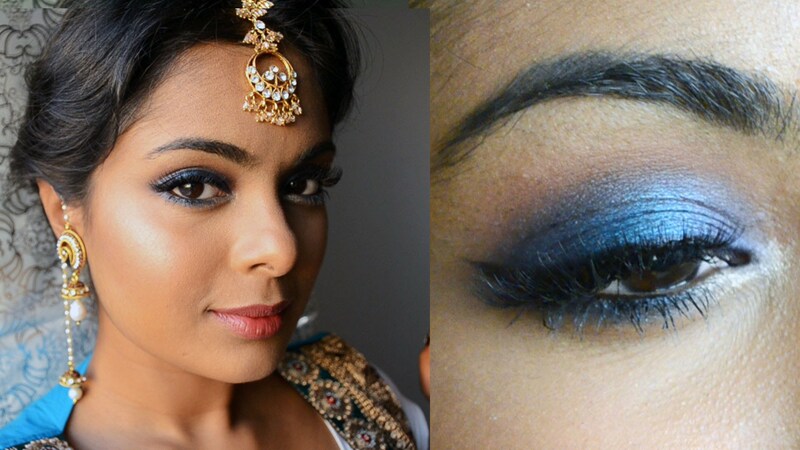 We hope these five makeup ideas for Teej, inspire you well-enough! Have fun ladies!